NOTICE: ACCESS TO AND USE OF THIS WEBSITE AND ANY ONLINE APPLICATIONS, SOFTWARE OR CONTENT AVAILABLE THROUGH THIS WEBSITE IS SUBJECT TO YOUR ACCEPTANCE OF THIS END USER LICENSE AGREEMENT. IF YOU DO NOT AGREE TO THIS END USER LICENSE AGREEMENT, YOU ARE NOT PERMITTED TO AND YOU WILL NOT BE ABLE TO ACCESS OR USE THIS WEBSITE OR ANY ONLINE APPLICATIONS, SOFTWARE OR CONTENT AVAILABLE THROUGH THIS WEBSITE. This End User License Agreement (the "Agreement") by and between you ("You") and CCH Incorporated ("CCH") governs Your access to and use of (i) the Casebook Connect online application software and platforms (including this website) through which You are able to access certain CCH offerings (the "Platform"), (ii) the applicable product or service offerings you have licensed or subscribed to and which are accessible through the Platform (the "Product Offerings"), including without limitation the applicable ebooks You have licensed (the "Ebooks"), (iii) the online resources and content associated therewith (the "Online Content"), and (iv) any related services, software, or other solutions provided by CCH or its licensors or other third parties whose offerings may be made available through the Platform (collectively (i) through (iv), the "Casebook Connect Product(s)"). By clicking to accept this Agreement, You acknowledge that You have read, understood and agree to be bound by this Agreement, and You agree to comply with all applicable laws and regulations in Your use of the Casebook Connect Product(s) licensed hereunder, including U.S. export and re-export control laws and regulations. The Casebook Connect Product(s), including all Product Offerings, Ebooks and Online Content incorporated therein, are protected by law, including, but not limited to, United States copyright law and international treaties. PLEASE ALSO REFER TO THE WOLTERS KLUWER LEGAL & REGULATORY U.S. PRIVACY STATEMENT FOR MORE INFORMATION ABOUT HOW CCH COLLECTS AND USES YOUR PERSONAL INFORMATION. THE PRIVACY STATEMENT CAN BE FOUND AT LRUS.WOLTERSKLUWER.COM/POLICIES/PRIVACY-STATEMENT/. 1. License and Access to the Casebook Connect Product(s). 1.1 User Licenses. CCH grants You a non-transferable, nonexclusive, limited license to access and use the applicable Casebook Connect Product(s) via the Platform during the applicable Subscription Term for the Permitted Use (as defined below), subject to the terms and conditions of this Agreement. As used herein, "Subscription Term" means (i) with respect to (a) the Product Offerings other than the Ebooks licensed on a perpetual basis, and (b) the Online Content, the time period identified as the subscription term at the point of purchase or first access, whether on or in connection with a registration form, e-commerce site, access code or other order document; and (ii) with respect to the Ebook(s) licensed on a perpetual basis, the period during which CCH, in its sole discretion, makes the applicable Ebook(s) commercially available. 1.2.Ebook User Type. Full access to the Ebooks and the Online Content associated therewith is available only to (i) individuals who have purchased or rented one or more applicable physical textbooks from CCH or one of CCH's distributors and have licensed access to the Ebooks and the Online Content associated therewith, or (ii) individuals who have licensed or otherwise obtained access directly from CCH or one of its affiliates or distributors to the Ebooks and the Online Content associated therewith. 1.3.Trial User License. CCH may, in its sole discretion, grant individuals access to certain Casebook Connect Product(s) for a limited preview or trial period in order for such individuals to preview and evaluate certain Casebook Connect Product(s) before the purchase of a license or subscription to the applicable Casebook Connect Product(s) ("Trial Access" and each such individual a "Trial User"). If You received Trial Access to any Casebook Connect Product(s), then CCH grants You the non-transferable, nonexclusive, limited license to access and use the applicable Casebook Connect Product(s) during the specified trial period for the sole purpose of evaluating the applicable Casebook Connect Product(s), subject to the terms and conditions of this Agreement. If You are granted Trial Access and decide not to license access to the Casebook Connect Product(s) at the end of such period designated by CCH for Your Trial Access, Your authorization to access and to use the applicable Casebook Connect Product(s) automatically terminates and, if requested by CCH, You must immediately destroy any downloaded or printed materials and discontinue use of any hyperlinks to the applicable Casebook Connect Product(s). 1.4.Access. You agree not to give or make available Your username, password, access code or other authentication method (including without limitation, Your email address or Internet Protocol address, if applicable) used to access Your account to any unauthorized individuals. You remain responsible for all access to the Casebook Connect Product(s) via Your username, password, access code, or other authentication method, even if not authorized by You. If You believe that Your username, password, access code, or other authentication method used to access Your account has been lost or stolen or that an unauthorized person has or may attempt to use the Casebook Connect Product(s), You must immediately notify CCH at ccsupport@wolterskluwer.com. Any access or attempt to access for any reason areas of CCH computer systems or other information thereon is strictly prohibited. You agree that You will not use any robot, spider, other automatic device, or manual process to "screen scrape," monitor, "mine," or copy the Web pages on the Casebook Connect Product(s) in whole or in part. You will not spam or send unsolicited email to any other user of the Casebook Connect Product(s) for any reason. You agree that You will not use any device, software, or routine to interfere or attempt to interfere with the proper working of the Casebook Connect Product(s). You will not attempt to bypass, modify, defeat, or otherwise circumvent any digital rights management system or other content protection or features with any of the Product Offerings. You also agree that You will not take any action that is intended to impose an unreasonable or disproportionately large load on CCH's infrastructure. 1.5.Updates and Discontinuation. CCH may, but has no obligation to, update, modify or replace the Casebook Connect Product(s) from time to time. CCH reserves the right to discontinue offering access to all users of a Casebook Connect Product, or a portion thereof, through any or all platform(s) at any time for any business reason (such as discontinuation of the applicable Casebook Connect Product). CCH will use commercially reasonable efforts to provide at least thirty (30) days' notice of any such discontinuation. CCH will provide such notice via email to the email address on record for Your account. In the event that CCH discontinues offering access to an Ebook licensed on a perpetual basis via the Platform, upon Your request within thirty (30) days' of Your receipt of notice that such access will be discontinued, CCH will provide You with one (1) electronic copy of the discontinued Ebook for download. Upon completion of such download, CCH grants You a non-transferable, nonexclusive, limited license to access and use the applicable Ebook on a perpetual basis for the Permitted Use (as defined below), subject to all applicable terms and conditions of this Agreement. 1.6.Termination of Access. If You fail to comply in any way with this Agreement, this Agreement and Your authorization to access and to use the Casebook Connect Product(s) will automatically terminate. If You rented one or more physical textbooks from one of CCH's distributors and for which you received licensed access to the Ebook and Online Content associated therewith, Your access to the Ebook and Online Content is subject to Your compliance with Your applicable rental agreement for the physical textbook, including return of such physical textbook at the end of the rental period, and any termination of such rental agreement will automatically terminate this Agreement and Your authorization to access and to use the Ebook and Online Content. Upon any termination or expiration of this Agreement, if requested by CCH, You must immediately destroy any downloaded or printed materials and discontinue use of the Casebook Connect Product(s). 2. Proprietary Rights and Use of the Casebook Connect Product(s). 2.1.Proprietary Rights. No provision of this Agreement conveys any ownership interest to You in or to any of the Casebook Connect Product(s), including site design, text, graphics, interfaces, and the selection and arrangements thereof, in whole or in part, and, except for the express licenses herein, all intellectual property rights, including copyright, patent, trademark and trade secret, are retained by CCH and its affiliates, licensors, and collaborators, all rights reserved. The trademarks, service marks, trade names, and logos, including, but not limited to, page headers, custom graphics, button icons, and scripts (collectively, the "Trademarks") used and displayed on the Casebook Connect Product(s) are registered and unregistered trademarks, service marks and/or trade dress of CCH and its affiliates, licensors, and collaborators, and You many not copy, imitate or use the Trademarks, in whole or in part, for any purpose. No license or other right to use any Trademark used or displayed on the Casebook Connect Product(s) is granted to You. 2.2.Additional Terms. Your access to and/or use of any current or future Casebook Connect Product(s) may be subject to and require Your acceptance of additional terms and conditions, including (i) terms and conditions governing access to and use of the Platform, and (ii) terms and conditions governing use of any content and software supplied or licensed to CCH by third parties ("Third Party Material") that may be incorporated into the Casebook Connect Product(s), as made available by CCH from time to time, in electronic or print form. In the event of changes in the terms applicable to Third Party Material, CCH reserves the right to terminate access to such Third Party Material, remove such Third Party Material from the Casebook Connect Product(s), modify the Third Party Material accessible hereunder, or add additional terms and conditions applicable to such Third Party Material, in each case effective immediately upon notice being made reasonably available to You. In the event of any conflict between the terms hereof and the terms governing the Third Party Material, the terms governing the Third Party Material will control. 2.3.Enforcement of Rights. You hereby grant to CCH and its affiliates, licensors, and collaborators the right to enforce or assert on their own behalf the provisions of this Agreement. 2.4.Permitted Use. As used herein, "Permitted Use" means use of the Casebook Connect Product(s) for the following limited purpose: You may use the Casebook Connect Product(s) as a reference and/or educational tool and may print or download materials from the Casebook Connect Product(s) (where CCH has made such materials available for printing or downloading) solely for Your own personal, non-commercial, informational or scholarly use, provided that You keep intact all copyright and other proprietary notices. Any materials printed or downloaded from the Casebook Connect Product(s) remain subject to the terms and conditions of this Agreement. 2.5. Restrictions on Use. You will not (a) use, or permit the use of, the Casebook Connect Product(s) except in accordance with the terms of this Agreement; (b) modify, translate, reverse engineer, decompile, disassemble, create derivative works of, or otherwise attempt to derive or alter any source code of the Casebook Connect Product(s) or any underlying software; (c) copy or permit the copying of the Casebook Connect Product(s), other than copying in accordance with the Permitted Use; (d) use the Casebook Connect Product(s) to provide service bureau, time sharing, or similar services to third parties; (e) distribute, sublicense, sell, assign, transfer, rent, lease, pledge, or encumber the Casebook Connect Product(s); (f) permit access to the Casebook Connect Product(s) to any other person; (h) alter, remove, or otherwise hinder the delivery of any copyright, disclaimer, or other proprietary notice appearing in the Casebook Connect Product(s); or (g) use the Casebook Connect Product(s) or information contained therein or results derived therefrom to develop any product(s) or service(s) which could be competitive with the Casebook Connect Product(s) or any other product(s) or service(s) provided by CCH. Redistribution of the Casebook Connect Product(s) for any purpose is strictly prohibited. 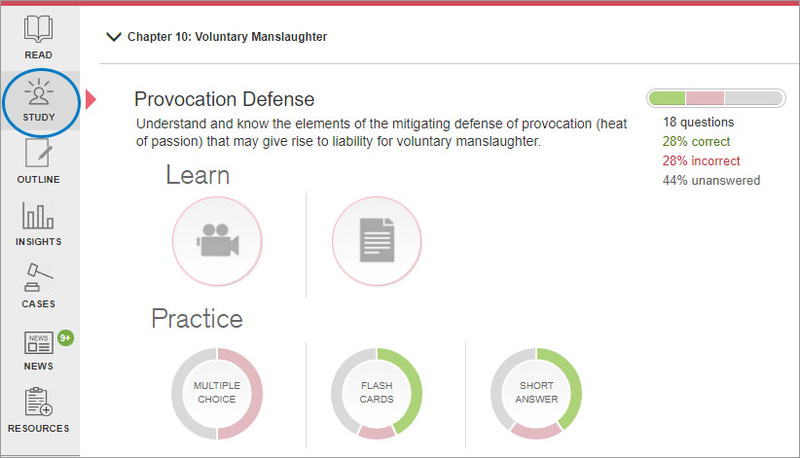 Any use or attempted use of the Platform, the Casebook Connect Product(s) or the Online Content therein other than as specifically authorized herein, without the express prior written permission of the CCH is strictly prohibited and will, among other things, terminate this Agreement and all licenses granted herein. Such unauthorized use or attempted use may also violate applicable laws, including without limitation, copyright and trademark laws. Except for the express licenses granted herein, nothing in this Agreement will be construed as conferring any license to any intellectual property rights, whether by estoppel, implication or otherwise. Upon any termination of Your right to access any particular Casebook Connect Product(s), if requested by CCH, You must destroy, as applicable, all copies of any materials from the Casebook Connect Product(s) for which access was terminated. 3. Links and Content Uploads. 3.1. External Hyperlinks. 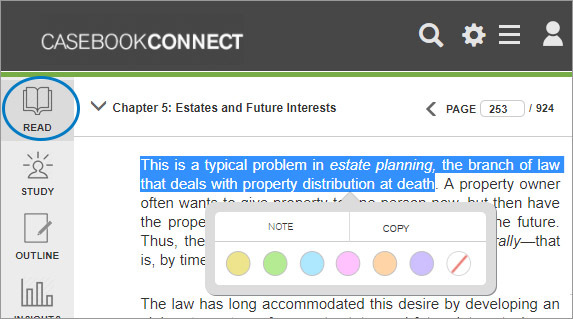 The Casebook Connect Product(s) may provide links to third party web pages, including through content feeds accessible through the Casebook Connect Product(s). 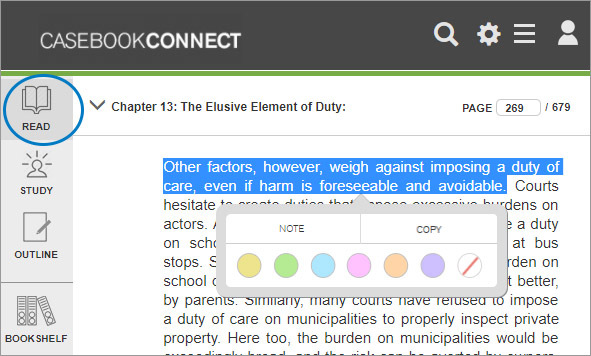 Such links to third party websites on the Casebook Connect Product(s) are provided solely as a convenience to You. If You use these links, You will leave the Casebook Connect Product(s). CCH has not reviewed these third party websites and does not control and is not responsible for any of these third party websites, their content or their policies, including, without limitation, privacy policies or lack thereof. CCH does not endorse or make any representations about third party websites or any information, software or other products or materials found there, or any results that may be obtained from using them. If You decide to access any of the third party websites linked to the Casebook Connect Product(s), You do so entirely at Your own risk. You acknowledge and agree that CCH will not be responsible or liable, directly or indirectly, for any damage or loss caused or alleged to be caused by, or in connection with, the use of or reliance on any such third party websites. 3.2.Ownership of Content Uploads. Certain of the Casebook Connect Product(s) may provide functionality that allows You to upload content that may include information, text, images, audio, video, and any other content ("Your Content") and may permit the public posting, viewing and sharing of Your Content with others. You retain ownership to Your Content that You submit for inclusion into the Casebook Connect Product(s). However, by submitting Your Content, You hereby grant CCH and its affiliates and licensors a transferable, non-exclusive, worldwide, perpetual and royalty-free right and license to quote, re-post, publish, use, adapt, translate, archive, store, reproduce, modify, create derivative works from, syndicate, license, print, sublicense, distribute, transmit, broadcast, and otherwise communicate, and publicly display and perform Your Content, or any portion thereof, in any manner or form and in any medium or forum, whether now known or hereafter devised, without notice, payment or attribution of any kind to You or any third party. You grant CCH and its affiliates and licensors all licenses, consents and clearances to enable CCH and its affiliates and licensors to use Your Content for such purposes. You waive and agree not to assert any moral or similar rights You may have in Your Content. If the Casebook Connect Product on which You contribute Your Content permits other users to access and use Your Content as part of the Casebook Connect Product, then You also grant all other users of the Casebook Connect Product the right to use, copy, modify, display, perform, create derivative works from, and otherwise communicate and distribute Your Content on or through the Casebook Connect Product without further notice, attribution or compensation to You. You may not upload or post any content on the Casebook Connect Product(s) that infringes the copyright, trademark or other intellectual property rights of a third party nor may You upload any content that violates the law, this Agreement and/or any third party's right of privacy or right of publicity. By posting any of Your Content on the Casebook Connect Product(s), You represent and warrant that You have the lawful right to distribute and reproduce Your Content. You are solely responsible for creating backup copies of and replacing any of Your Content You post or store on or through the Casebook Connect Product(s) at Your sole cost and expense. 3.4. Monitoring of Content Uploads. CCH will have the right, but not the obligation, to reject, refuse to post, or otherwise monitor all Your Content, and may remove or require You to remove any or all Your Content that CCH, in its sole discretion, deems to be a violation of this Agreement, or deems to be offensive, inappropriate, illegal or to harm or threaten the safety of any person. In addition, CCH has the right to remove Your Content if CCH has reason to believe that displaying such content may infringe the rights of a third party or subject CCH to expense or liability. You acknowledge and agree that CCH will not assume or have any liability for any action or inaction by CCH with respect to any of Your Content. 3.5. Use of Your Content and Other Information. By entering into this Agreement, You agree that CCH may (i) store the information You provided as part of the registration process, (ii) make Your name and school information available to and searchable by other users of the Casebook Connect Product(s) for purposes of allowing users of the Casebook Connect Product(s) to connect and share user-generated content with other users of the Casebook Connect Product(s), and (iii) use aggregate, non-personally identifiable statistical information about Your usage of the Casebook Connect Product(s) for any purpose, including commercial use and use in improving and marketing its products and services. In addition, You further agree that CCH may share such aggregate statistical information about Your usage of the Casebook Connect Product(s) with its affiliates, licensors, collaborators, service providers, and other third parties, in CCH's sole discretion. Please also refer to the Wolters Kluwer Legal & Regulatory U.S. Privacy Statement for more information about how CCH collects and uses Your personal information. The Privacy Statement can be found at lrus.wolterskluwer.com/policies/privacy-statement/. 3.6.Commentary. The Casebook Connect Product(s) may contain areas where You are encouraged to communicate with CCH, including, providing commentary, testimonials, and/or additional information concerning the Casebook Connect Product(s). By communicating with CCH on or about the Casebook Connect Product(s), You grant CCH and its affiliates and licensors a transferable, non-exclusive, worldwide, perpetual and royalty-free right and license to publish Your communications on the Casebook Connect Product(s), use such commentary in any promotion of the Casebook Connect Product(s) and to attribute the communications to the name and/or entity associated with such communication. You further represent and warrant that You own all rights to the communication and that such communication does not infringe upon or otherwise violate the rights of any third party. CCH has the right, but not the obligation (except as otherwise required by law), not to post or, in the alternative, to remove any communication from the Casebook Connect Product(s) and/or to remove any user or prevent further communication by any user, at CCH's sole discretion, which is defamatory, offensive, or otherwise objectionable, which infringes the rights of any third parties or which fails to comply with this Agreement. 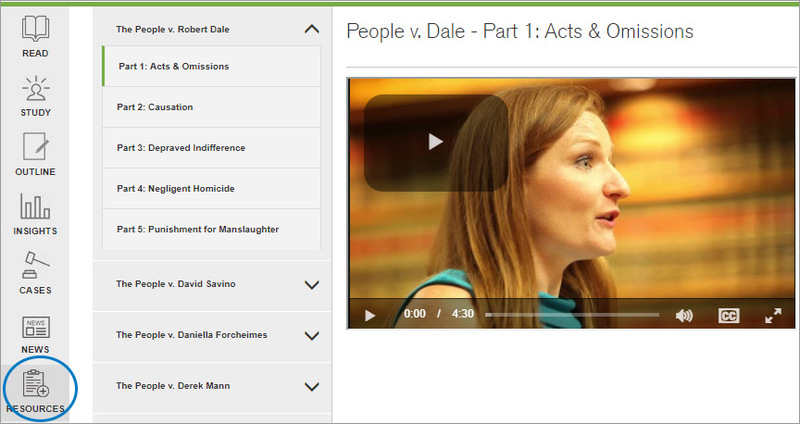 Any user who infringes the rights of third parties may be denied access to the Casebook Connect Product(s) to post information of any kind. You acknowledge and agree that CCH may preserve communications and disclose communications if required to do so by law or in the good faith belief that such preservation or disclosure is reasonably necessary to: (a) comply with legal process; (b) enforce this Agreement; (c) respond to any claims that any communication violates the rights of third parties; or (d) protect the rights, property, or personal safety of CCH, its users and/or the public. 4.1. THE CASEBOOK CONNECT PRODUCT(S) ARE FURNISHED BY CCH AND ITS AFFILIATES, LICENSORS AND COLLABORATORS, AND ARE ACCEPTED BY YOU "AS IS" AND WITHOUT ANY WARRANTY WHATSOEVER. NEITHER CCH NOR ITS AFFILIATES, LICENSORS OR COLLABORATORS MAKE ANY REPRESENTATIONS OR WARRANTIES WITH RESPECT TO THE CASEBOOK CONNECT PRODUCT(S), AND, TO THE MAXIMUM EXTENT PERMITTED BY LAW, CCH AND ITS AFFILIATES, LICENSORS AND COLLABORATORS DISCLAIM ALL REPRESENTATIONS AND WARRANTIES OF ANY KIND OR NATURE, EXPRESS OR IMPLIED, ARISING OUT OF OR RELATED TO THIS AGREEMENT, THE CASEBOOK CONNECT PRODUCT(S), OR THE RESULTS DERIVED THEREFROM, INCLUDING, BUT NOT LIMITED TO, ANY WARRANTIES REGARDING ACCURACY, QUALITY, CORRECTNESS, COMPLETENESS, COMPREHENSIVENESS, CURRENCY, SUITABILITY, SYSTEM AVAILABILITY, COMPATIBILITY, MERCHANTABILITY, FITNESS FOR A PARTICULAR PURPOSE, TITLE, NON-INFRINGEMENT, OR OTHERWISE (IRRESPECTIVE OF ANY COURSE OF DEALING, CUSTOM OR USAGE OF TRADE). NO CCH EMPLOYEE OR AGENT IS AUTHORIZED TO MAKE ANY STATEMENT THAT ADDS TO OR AMENDS THE WARRANTIES OR LIMITATIONS CONTAINED IN THIS AGREEMENT. IN ADDITION, YOU ACKNOWLEDGE THAT ACCESS TO THE CASEBOOK CONNECT PRODUCT(S) MAY BE SUBJECT TO LIMITATIONS, DELAYS, LATENCY ISSUES AND OTHER PROBLEMS INHERENT IN THE USE OF THE INTERNET AND ELECTRONIC COMMUNICATIONS, AND THAT NEITHER CCH NOR ITS AFFILIATES, LICENSORS OR COLLABORATORS ARE RESPONSIBLE FOR ANY DELAYS, DELIVERY FAILURES, OR OTHER DAMAGE RESULTING FROM SUCH PROBLEMS. THE CASEBOOK CONNECT PRODUCT(S) MAY BE OUT OF DATE, AND CCH MAKES NO COMMITMENT TO UPDATE THE CASEBOOK CONNECT PRODUCT(S). NEITHER CCH NOR ITS AFFILIATES, LICENSORS OR COLLABORATORS WARRANT THAT CASEBOOK CONNECT PRODUCT(S) WILL BE UNINTERRUPTED OR ERROR-FREE OR THAT ANY DEFECTS IN THE CASEBOOK CONNECT PRODUCT(S) WILL BE CORRECTED. 4.2. YOU ASSUME ALL RESPONSIBILITIES AND OBLIGATIONS WITH RESPECT TO THE SELECTION OF THE PARTICULAR CASEBOOK CONNECT PRODUCT(S) TO ACHIEVE YOUR INTENDED RESULTS. 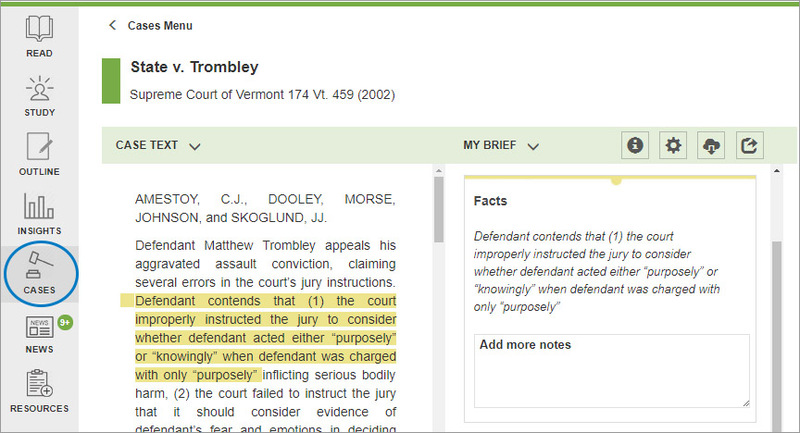 YOU ASSUME ALL RESPONSIBILITIES AND OBLIGATIONS WITH RESPECT TO THE USE OF CASEBOOK CONNECT PRODUCT(S) AND TO ANY DECISIONS OR ADVICE MADE OR GIVEN AS A RESULT OF THE USE OF CASEBOOK CONNECT PRODUCT(S), INCLUDING THOSE TO ANY THIRD PARTY, AND FOR THE CONTENT, ACCURACY, AND REVIEW OF SUCH RESULTS. CCH AND ITS AFFILIATES, LICENSORS AND COLLABORATORS ARE NOT ENGAGED IN RENDERING LEGAL, ACCOUNTING, TAX OR OTHER PROFESSIONAL ADVICE OR SERVICES. IF LEGAL, ACCOUNTING, TAX OR OTHER EXPERT ASSISTANCE IS REQUIRED, THE SERVICES OF A COMPETENT PROFESSIONAL SHOULD BE SOUGHT. 5. Limitation of Liability. NOTWITHSTANDING ANYTHING IN THIS AGREEMENT TO THE CONTRARY AND TO THE MAXIMUM EXTENT PERMITTED BY LAW, IN NO EVENT WILL CCH OR ITS AFFILIATES, LICENSORS, OR COLLABORATORS, OR ANY OF ITS OR THEIR RESPECTIVE DIRECTORS, OFFICERS, EMPLOYEES, OR AGENTS, BE LIABLE TO YOU OR ANY THIRD PARTY WHOSE CLAIM IS RELATED TO THIS AGREEMENT, UNDER ANY THEORY OF TORT, CONTRACT, STRICT LIABILITY OR OTHER LEGAL OR EQUITABLE THEORY, FOR (A) LOST PROFITS, LOST REVENUES, LOST BUSINESS OPPORTUNITIES OR EXEMPLARY, PUNITIVE, SPECIAL, INCIDENTAL, INDIRECT, CONSEQUENTIAL OR SIMILAR DAMAGES, EACH OF WHICH IS HEREBY EXCLUDED BY AGREEMENT OF THE PARTIES, REGARDLESS OF WHETHER SUCH DAMAGES WERE FORESEEABLE OR WHETHER CCH OR THE APPLICABLE PARTY HAS BEEN ADVISED OF THE POSSIBILITY OF SUCH DAMAGES; OR (B) ANY CLAIMS, DAMAGES OR COSTS OF ANY NATURE IN EXCESS OF THE GREATER OF $50 OR THE AMOUNT OF FEES PAID BY YOU FOR YOUR ACCESS TO THE CASEBOOK CONNECT PRODUCT(S). THIS LIMITATION OF LIABILITY AND THE DISCLAIMERS SET FORTH IN THIS AGREEMENT ARE INDEPENDENT OF ANY REMEDIES SET FORTH HEREIN. YOU ACKNOWLEDGE THAT THIS LIMITATION OF LIABILITY AND THE DISCLAIMERS SET FORTH IN THIS AGREEMENT ARE AN ESSENTIAL ELEMENT TO MAKING THE CASEBOOK CONNECT PRODUCT(S) AVAILABLE UNDER THE TERMS OF THIS AGREEMENT, AND THEREFORE THIS LIMITATION OF LIABILITY AND THE DISCLAIMERS SET FORTH IN THIS AGREEMENT WILL SURVIVE AND APPLY EVEN IF SUCH REMEDIES ARE FOUND TO HAVE FAILED OF THEIR ESSENTIAL PURPOSE. YOU ACKNOWLEDGE THAT ABSENT YOUR AGREEMENT TO THIS LIMITATION, CCH AND ITS AFFILIATES, LICENSORS AND COLLABORATORS WOULD NOT PROVIDE THE CASEBOOK CONNECT PRODUCT(S). SOME STATES DO NOT ALLOW THE EXCLUSION OR LIMITATION OF INCIDENTAL OR CONSEQUENTIAL DAMAGES, SO THE ABOVE LIMITATION OR EXCLUSION MAY NOT APPLY TO YOU. 6. Indemnification. You agree to indemnify and hold harmless CCH and its affiliates, licensors, and collaborators, and any of their respective officers, directors, employees, subcontractors, agents, successors, assigns, affiliates or subsidiaries, from and against any and all claims, causes of action, lawsuits, liabilities, proceedings, losses, damages, costs and expenses (including reasonable legal and accounting fees) arising out of, connected with or resulting in any way from (i) Your violation of this Agreement or any applicable law; (ii) Your willful misconduct; (iii) unauthorized use of the Casebook Connect Product(s); or (iv) any of Your Content uploaded or posted to the Casebook Connect Product(s). CCH reserves the right, at its discretion, to assume or participate, at Your expense, in the investigation, settlement and defense of any action or claim to which it is entitled to indemnification. No claim will be settled without CCH's prior written consent unless such settlement includes a complete release of CCH and its affiliates, licensors, and collaborators from all liability and does not contain or contemplate any payment by, or injunctive or other equitable relief binding upon, CCH and its affiliates, licensors, and collaborators. You acknowledge and agree that there can be no adequate remedy at law to compensate CCH and its affiliates, licensors, and collaborators for the breach of the intellectual property protection provisions of this Agreement; that any such breach would result in irreparable harm to CCH and its affiliates, licensors, and collaborators that would be difficult to measure; and, therefore, that upon any such breach or threat thereof, CCH and its affiliates, licensors, and collaborators will be entitled to injunctive and other appropriate equitable relief (without the necessity of proving actual damages or of posting a bond), in addition to whatever remedies may be available at law. 7. Digital Millennium Copyright Act ("DMCA") Notice. Certain materials accessible in the Casebook Connect Product(s) may be from third parties not within CCH's control. CCH is under no obligation to, and does not, scan such third party content used in connection with the Casebook Connect Product(s) for the inclusion of illegal or impermissible content. However, CCH respects the copyright interests of others and, as a policy, does not knowingly permit content herein that infringe another party's copyright. · Include the following statement: "I have good faith belief that the use of the copyrighted materials described above and contained on the service is not authorized by the copyright owner, its agent or protection of law." CCH may, in appropriate circumstances and at its discretion, terminate the account or access of users who infringe the intellectual property rights of others. 8. Government Restricted Rights. The Casebook Connect Product(s) are provided with "RESTRICTED RIGHTS." Use, duplication, or disclosure by the government is subject to restrictions as set forth in applicable laws and regulations. Use of the Casebook Connect Product(s) by the government constitutes acknowledgment of CCH's, its affiliates', licensors', and collaborators' proprietary rights in them. 9. Changes to End User License Agreement.. CCH may revise this Agreement from time to time without notice by updating these terms and publishing them to the Platform. CCH will use commercially reasonable efforts to provide at least thirty (30) days' notice of such revision(s) to the email address on record for Your Account. Subject to Section 2.2 of this Agreement, by accessing or using the Casebook Connect Product(s), You agree to be bound by any such revisions, effective as of the next succeeding commencement or renewal of a Subscription Term with respect to a Casebook Connect Product. 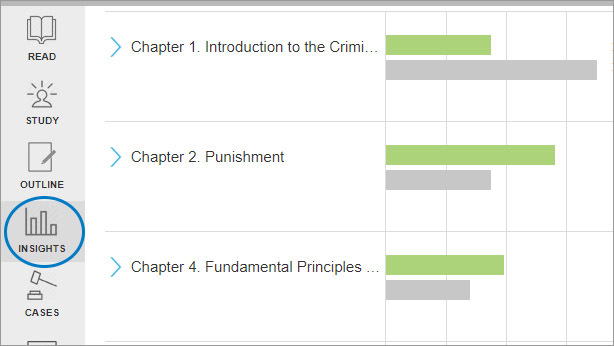 10.1 Assignment. You may not assign this Agreement in whole or in part, without the prior written consent of CCH. CCH may freely assign this Agreement to any affiliate or successor of CCH or in connection with any sale transaction or change of control transaction involving any of the Casebook Connect Product(s) and may delegate its duties, in whole or in part, in each case without Your consent. An assignee of either party authorized hereunder will be bound by the terms of this Agreement and will have all of the rights and obligations of the assigning party set forth in this Agreement. If any assignee refuses to be bound by all of the terms and obligations of this Agreement or if any assignment is made in breach of the terms of this Agreement, then such assignment will be null and void and of no force or effect. 10.2 Governing Law. This Agreement will be governed by and interpreted in accordance with the laws of the United States and the State of New York, without giving effect to the conflicts of law provisions thereof and excluding the United Nations Convention for Contracts for the International Sales of Goods. You irrevocably and unconditionally (i) consent to submit to the exclusive jurisdiction of the state and federal courts of New York County, New York for any litigation or disputed arising out of or related to this Agreement, (ii) agree not to commence any litigation arising out of or related to this Agreement except in the state or federal courts of New York County, New York, and (iii) agree not to plead or claim that such litigation brought therein has been brought in an inconvenient forum. EACH PARTY HEREBY WAIVES ITS RIGHT TO A JURY TRIAL IN CONNECTION WITH ANY DISPUTE OR LEGAL PROCEEDING ARISING OUT OF THIS AGREEMENT OR THE SUBJECT MATTER HEREOF. 10.3 Entire Agreement; Severability. This Agreement and any other document expressly referenced herein, constitutes the complete and exclusive statement of the agreement of the parties with respect to the subject matter hereof and supersedes all prior proposals, understandings, and agreements, whether oral or written, between the parties with respect to the subject matter hereof. You acknowledge that there were no representations or promises made by CCH on which You have relied in entering into this Agreement that are not expressly stated herein. If any provision of this Agreement or its application to particular circumstances is determined by a court of competent jurisdiction to be invalid or unenforceable, that provision (or its application to those circumstances) will be deemed stricken and the remainder of this Agreement (and the application of that provision to other circumstances) will continue in full force and effect insofar as it remains a workable instrument to accomplish the intent and purposes of the parties; the parties will replace the severed provision with the provision that will come closest to reflecting the intention of the parties underlying the severed provision but that will be valid, legal, and enforceable. 10.4 Notice. You acknowledge and agree that any notice or communication required or permitted hereunder to You shall be deemed to have been duly given if sent to the then-current email address associated with your account on the Platform.